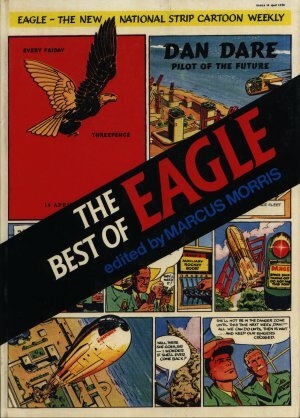 Best of the Eagle comics is an anthology from the Eagle Comics of the 1950's reprinting many of the popular articles, stories and cutaway drawings from the first 8 years of the comic. Dimensions : 21.5cm x 30.5cm with 196 pages. Meet Captain Pugwash before he gained fame on T.V. Yes, Tommy Walls was trying to sell you Ice Cream ! The Eagle Book of Magic is a very rare item to find intact. It was a book that contained a set of press-out models. Thus it is highly likely that the majority will have had one or more of the magic tricks pressed out from the book.